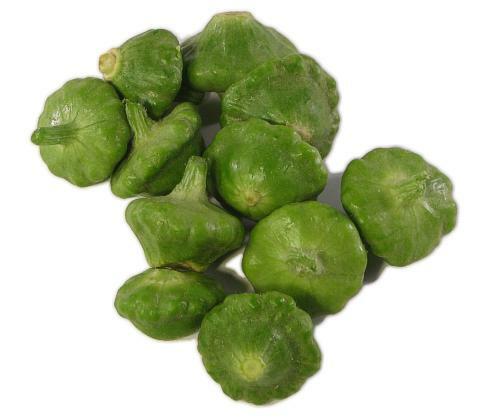 General Information: Green Pattypan may vary in color from a very light, pale green to a medium shade of green. The Green Pattypan differs from its closest neighbor, the scallopini, the pattypan has flatter sides and lighter color. Enjoy steamed, sauteed, baked, roasted or grilled. See Acorn Squash, Baby for additional information.